30 - 60 feet above ground., In branch of conifer. Lichen, moss., Lined with bark chips, rootlets, and feathers. Golden-crowned Kinglet: Very small, warbler-like bird with olive-green to gray upperparts and pale breast. Head has bright orange crown patch bordered with yellow and black, white eyebrows and black bill. Tail is short and wings have two bars. 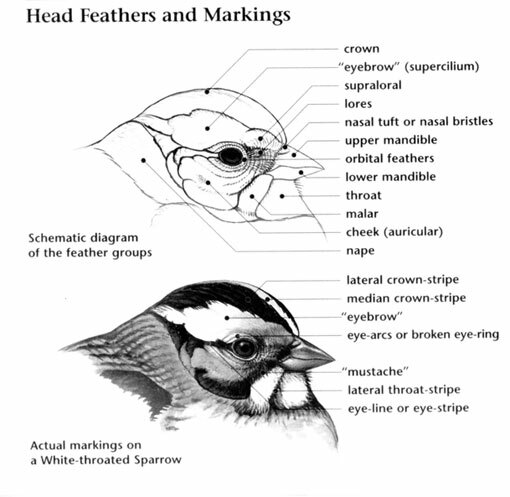 Female and juvenile are similar but have yellow crowns bordered with black. 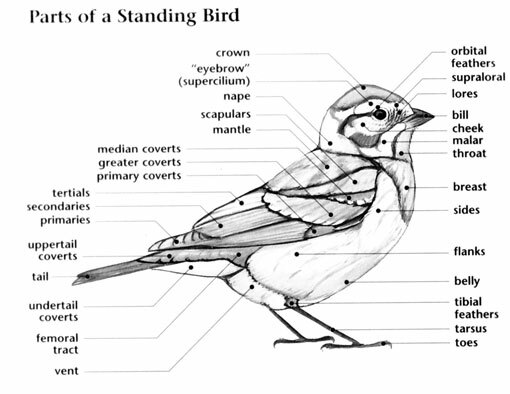 Golden-crowned Kinglet: Five to eleven creamy white eggs, splotched brown or gray, are laid in a nest made of lichens and moss, lined with bark chips, rootlets and feathers, and built on a conifer branch from 30 to 60 feet above the ground. 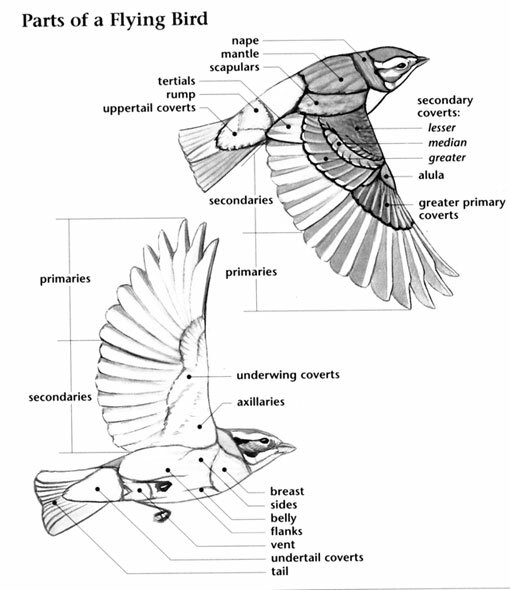 Incubation ranges from 14 to 15 days and is carried out by the female. Golden-crowned Kinglet: Eats mainly insects, insect eggs, and seeds; drinks tree sap, sometimes from sapsucker drill wells; forages while moving among branches and leaves, often flicking its wings to flush prey. Golden-crowned Kinglet: Song begins with three or four high-pitched "tsee-tsee-tsee" notes, followed by a rapid trill. Call is a series of three or four high-pitched "tsee" notes. Golden-crowned Kinglet: Ruby-crowned Kinglet lacks white eyebrows and black eye-line.